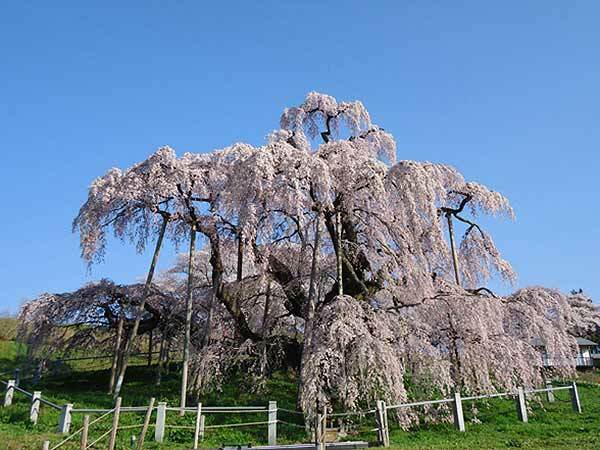 A weeping cherry tree that is over 1,000 years old. 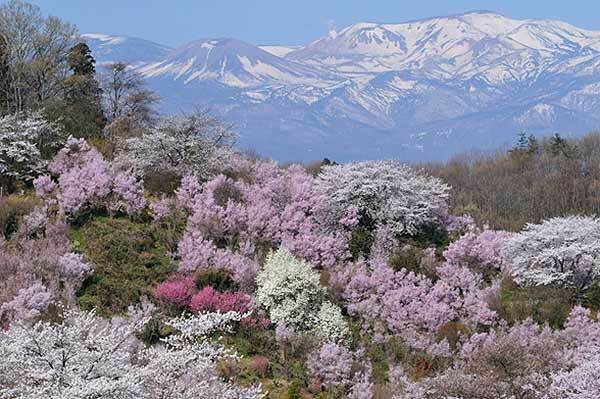 In full bloom, it looks like a waterfall of blossoms. 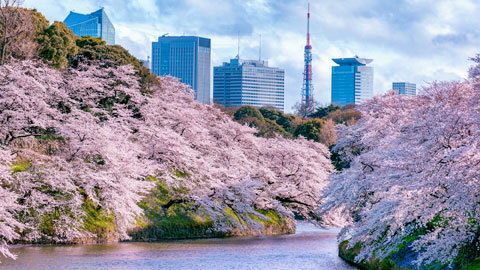 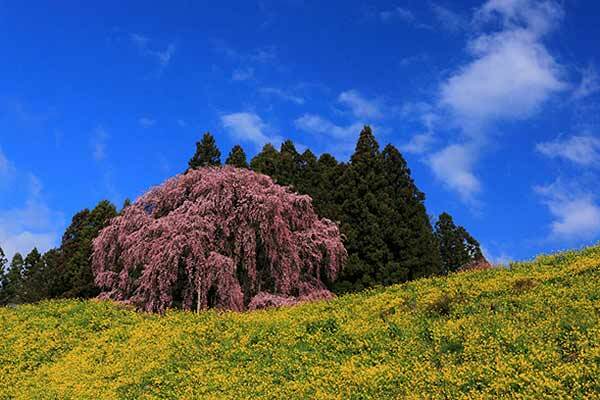 The large, deeply-colored drooping cherry tree is a sight to behold. 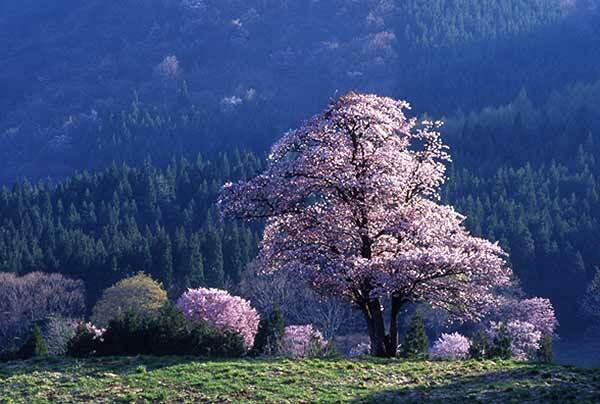 This weeping cherry is said to be the child of the Miharu Takizakura cherry. 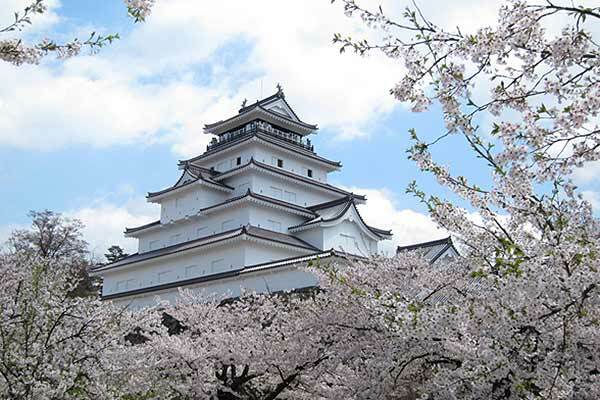 1,000 cherry trees decorate Tsuruga Castle, a symbol of the Aizu area. 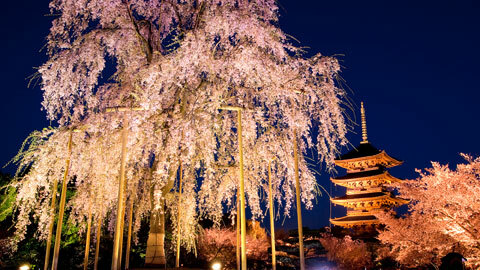 The mystical sight of the blossoms in the evening make nighttime viewing great fun. 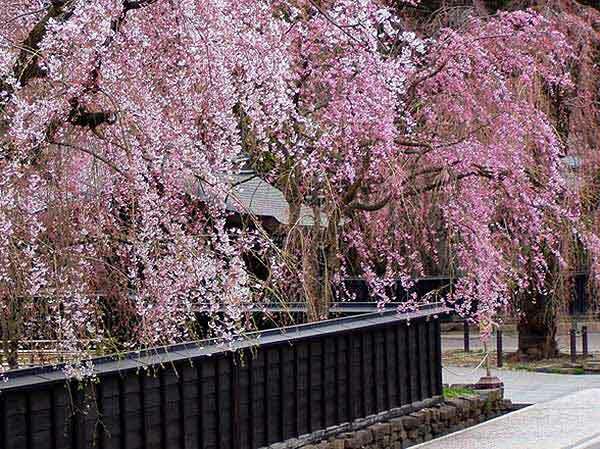 Gassen-no-Shidare-zakura, "The Battlefield Weeping Cherries"
Two amazing weeping cherry trees said to be the grandchildren of the Miharu Takizakura cherry. 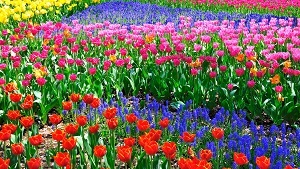 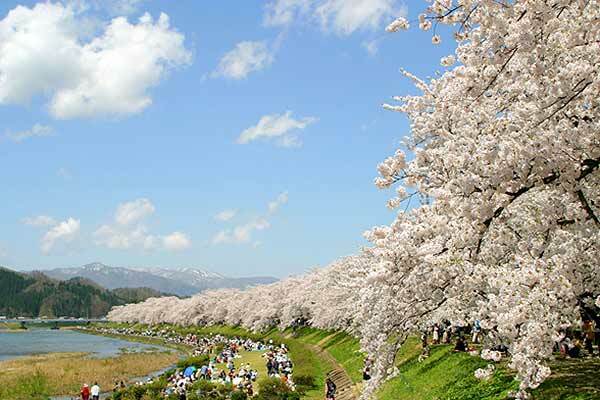 A mountain filled with cultivated flowers and trees, known as the "Shangri-La of Fukushima"
A magnificent tunnel of cherry blossoms running eight kilometers along the Shiraishi River. 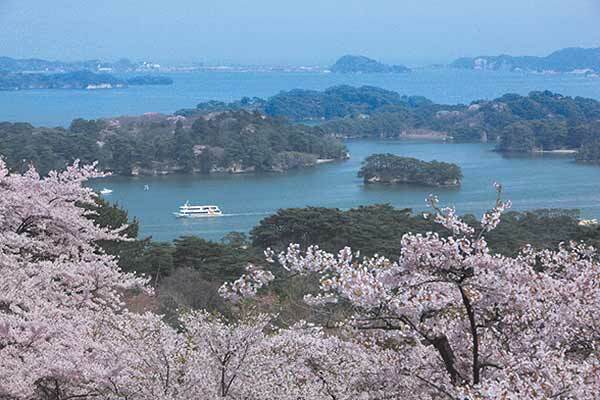 The top point overlooking the Matsushima's exquisitely scenic area, visited by the famed Zen monk Saigyo on his historic journey through Japan in the 12th century. 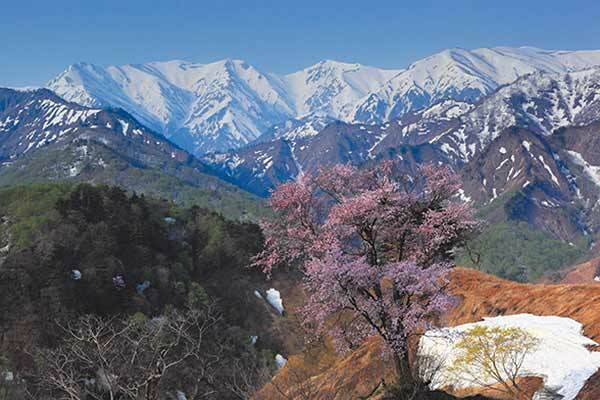 A solitary cherry tree blossoms in the lingering snow near the top of a deep mountain pass. 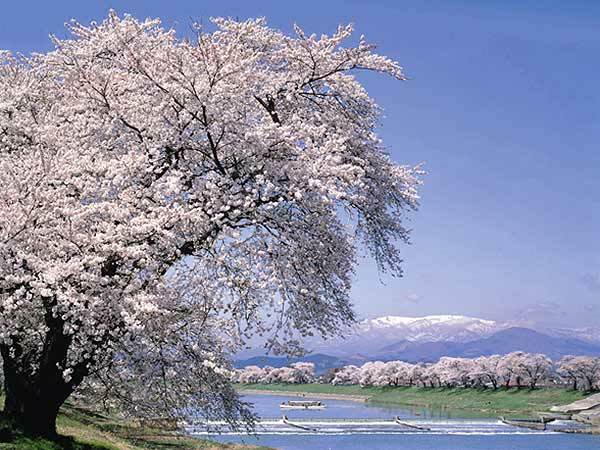 A group of large wild cherry trees blossoming on verdant pastures with snowy mountains in the background. 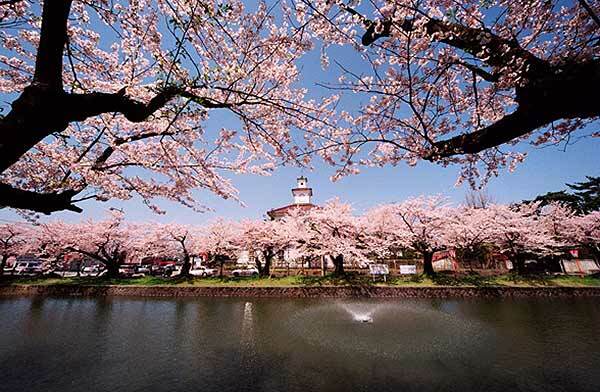 The cherry trees in Tsuruoka Park have been used for movie scenes and are the earliest-blooming cherries in the prefecture. 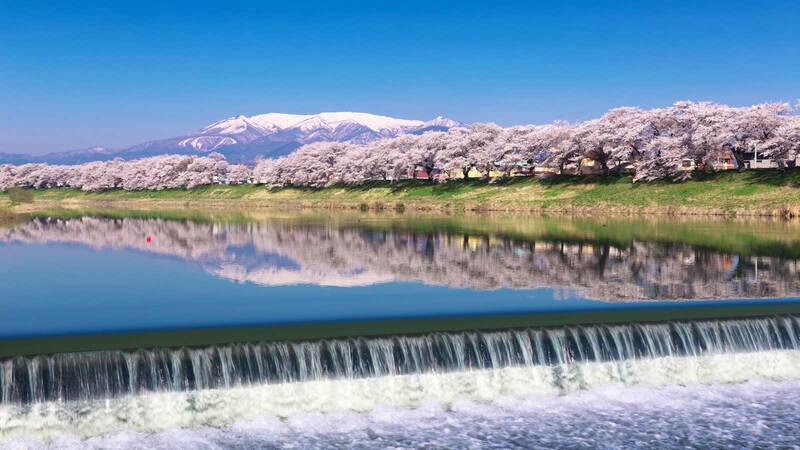 A row of cherry trees with a nostalgic atmosphere along a river flowing at the foot of Mt. 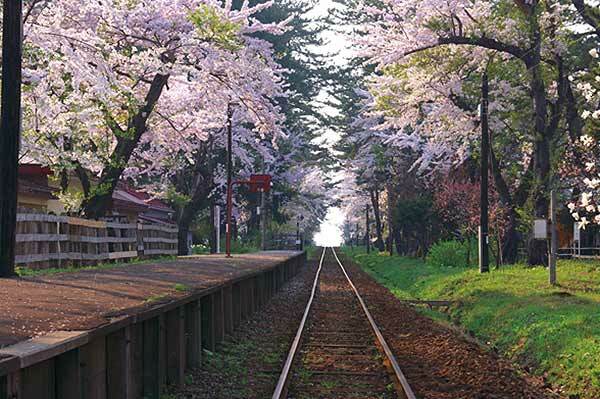 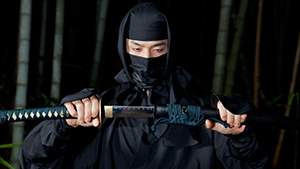 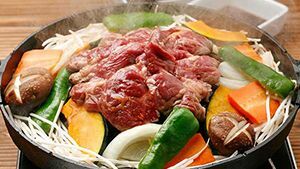 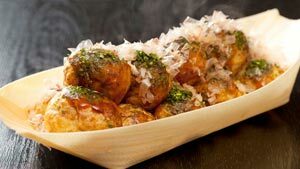 Chokai. 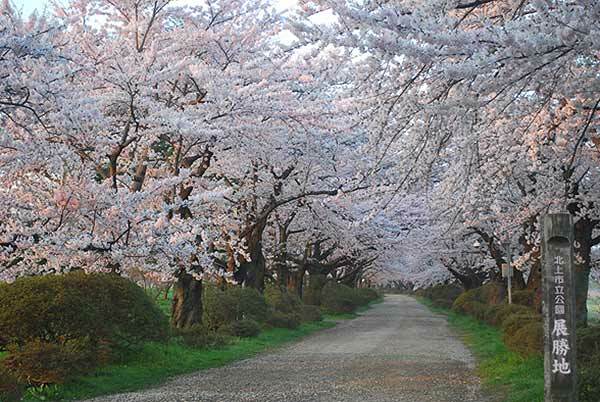 A row of old Yoshino cherry trees stretches for two kilometers along the Kitakami River. 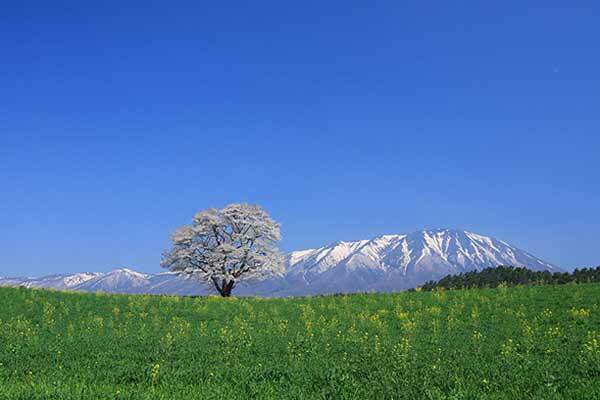 A solitary cherry tree blossoms in a pasture against a backdrop of the lingering snow on Mt. 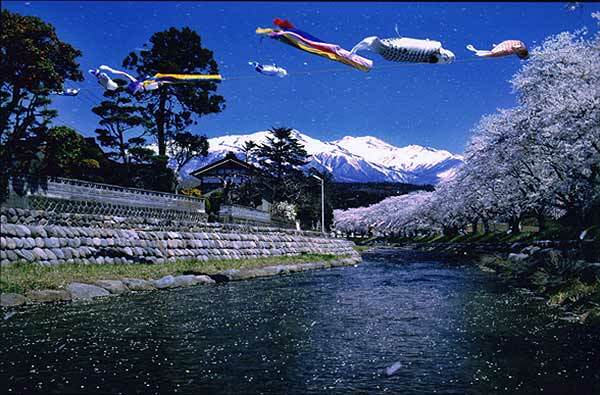 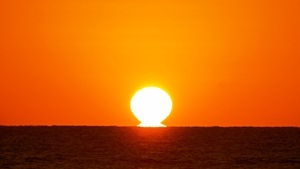 Iwate. 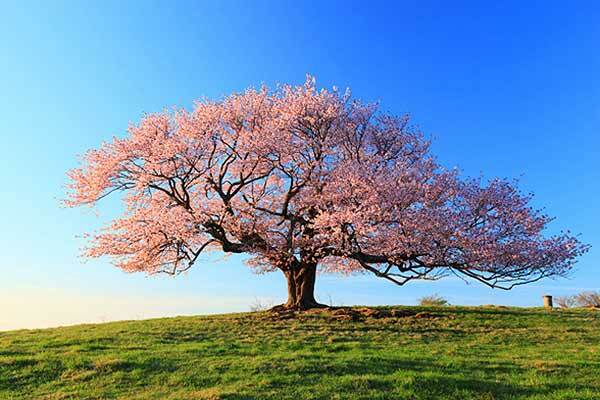 A single giant cherry tree soaring above an high-altitude pasture. 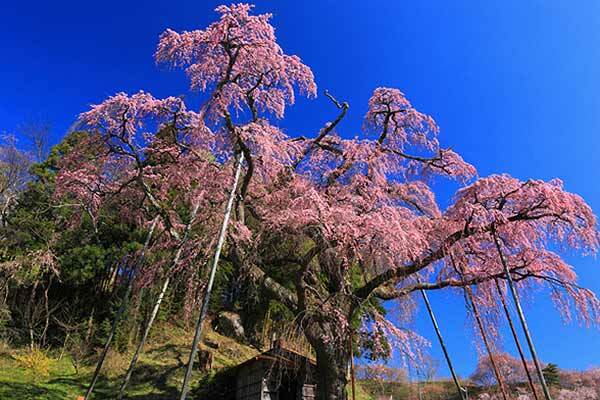 A beautiful 200-year-old weeping cherry tree well-cherished by locals. 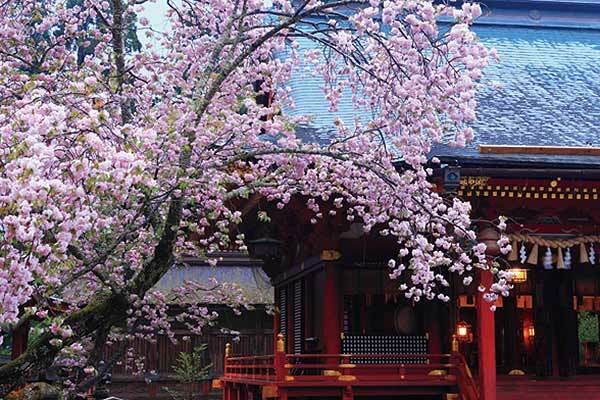 Lovely weeping cherry blossom branches hug the edges of historical buildings that were once samurai residences. 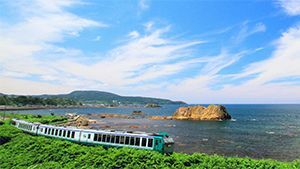 Runs for a very scenic two kilometers along the Hinokinai River. 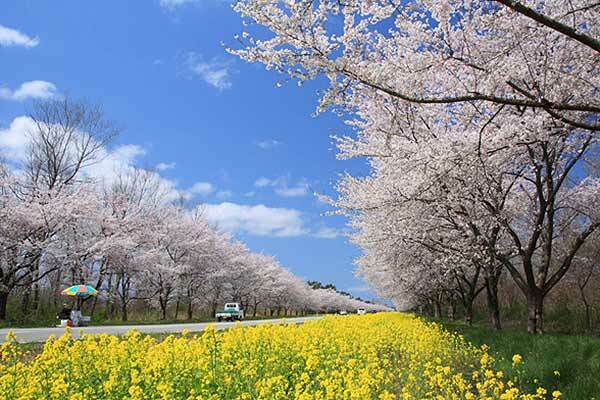 Rows of cherry trees stretching as far as the eye can see, contrasting beautifully with rapeseed flowers and pine trees. 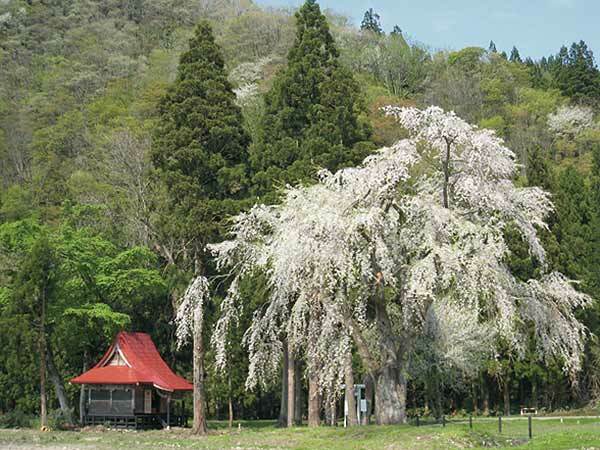 A nature park featuring water, greenery and cherry blossoms, visited by famous Japanese author Osamu Dazai in his younger days. 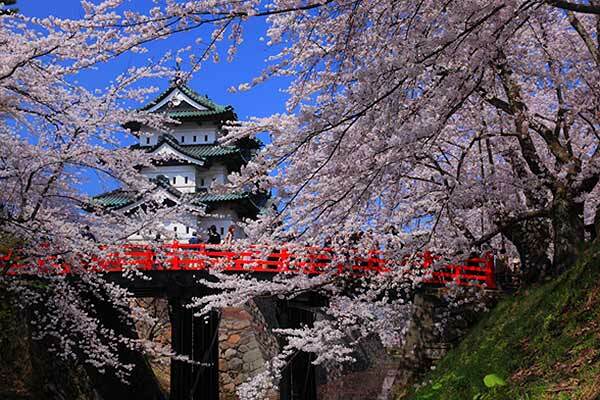 2,600 cherry trees in 52 varieties color the castle ruins: the perfect cherry blossom-viewing site for the finale of a Tohoku spring celebration.